Submitted by Cher504 on March 16, 2015 – 10:50am. 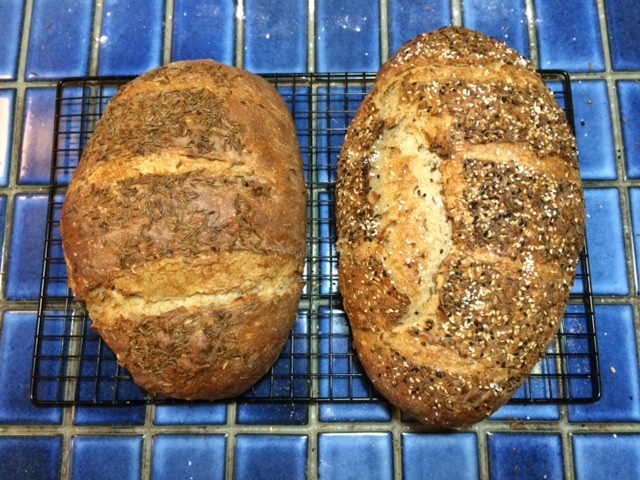 I baked Eric’s Favorite rye for the first time today, on account of there might be some corned beef in my near future. 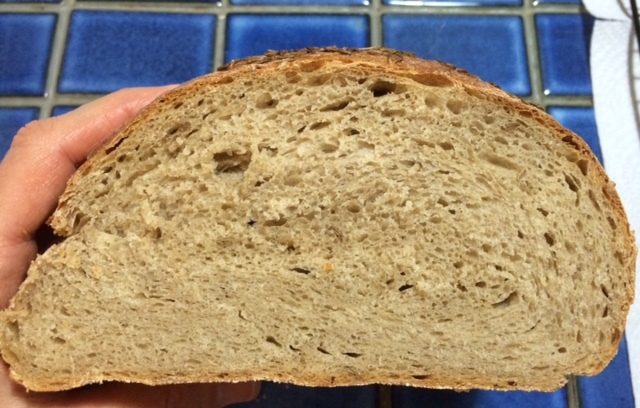 After only 35 minutes proofing, my finger poke test revealed one loaf seemed really ready to be baked and I was worried about waiting for the other one to catch up since they were proofing on the same piece of parchment. The kitchen was quite warm as the oven was on full tilt. As you can see in the photos, the one one the right had a pretty explosive reaction to the steaming oven…that was the one that seemed like it wanted to wait another 15 minutes. I know a lot of TFLers have baked and loved this formula, so if anyone can give me some pointers on what I could improve on, I’d really appreciate it. Is the shaping or slashing problematic? Or should I have just been more patient? To me it looks like the top 2/3 of the loaf is much more holey and the bottom third looks more dense. Am I being too picky, or is that a sign that it should have proofed longer? In hind-sight I realized I could’ve cut the parchment paper in half and put one guy in the fridge while the first one baked. Any other ideas? Thanks for any constructive comments!